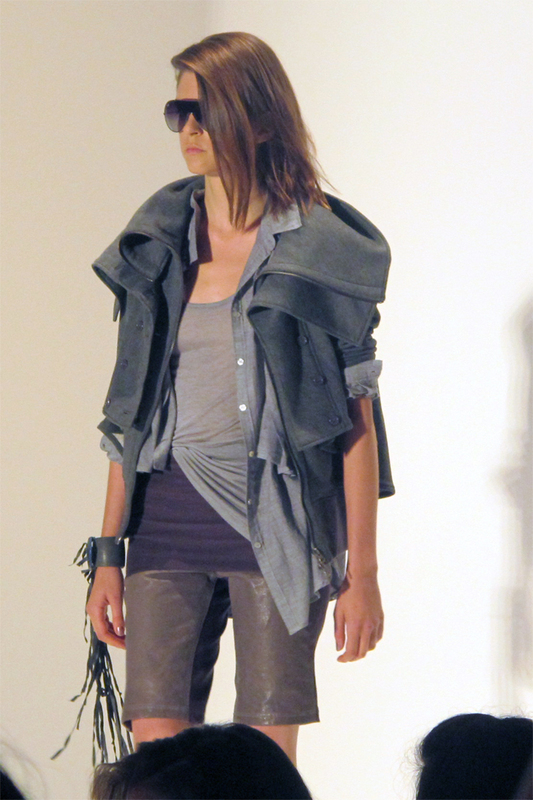 At the Nicholas K Spring/Summer 2012 fashion show, soft layered looks in muted tones inspired by the beauty of nature created interesting shapes and shadows. 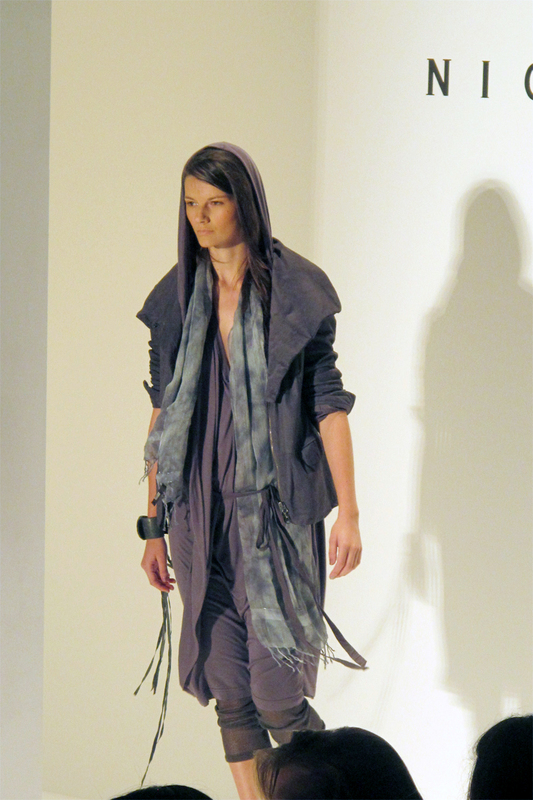 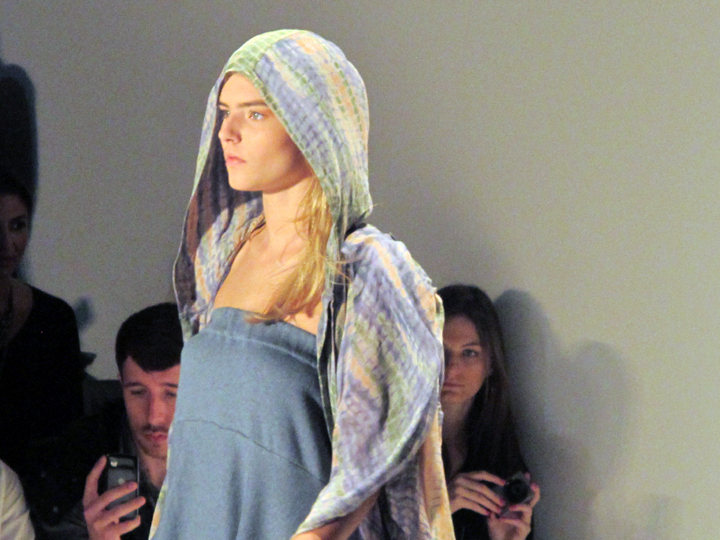 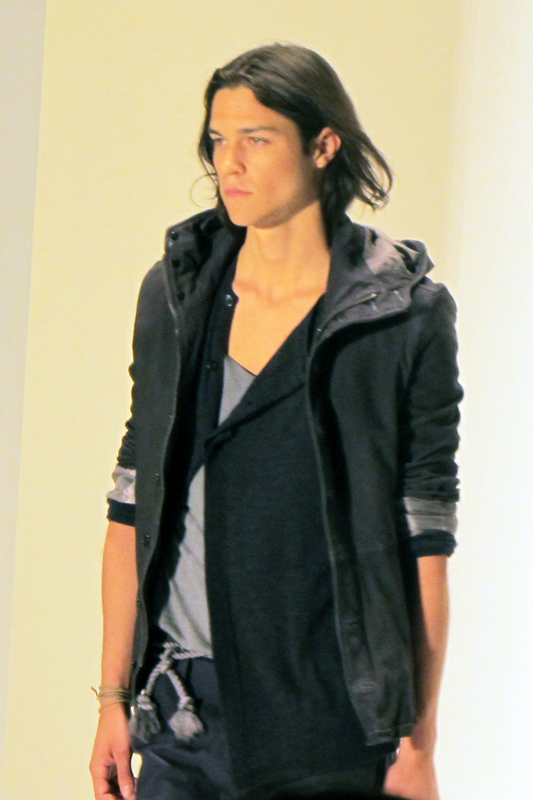 Beautifully draped pieces with hoods were romantic and sporty at the same time. 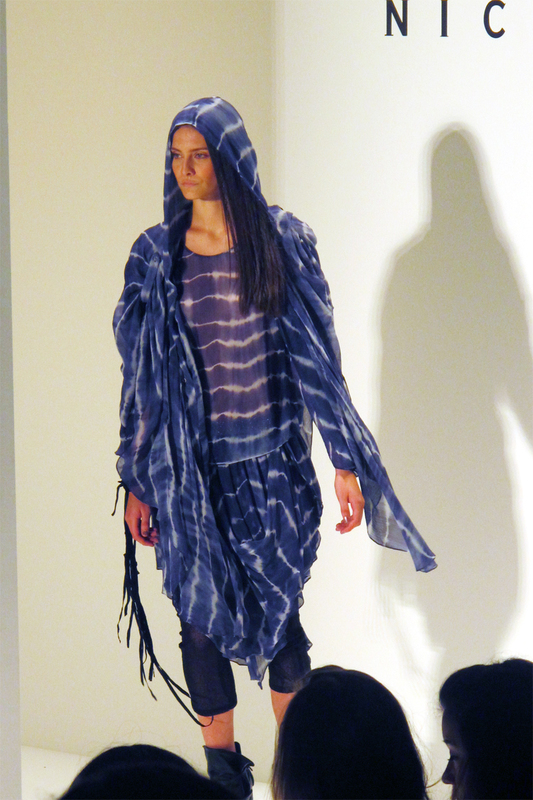 The accessories were perfect for the collection with bohemian headscarves, super long fringed leather bracelets and fringed scarves. 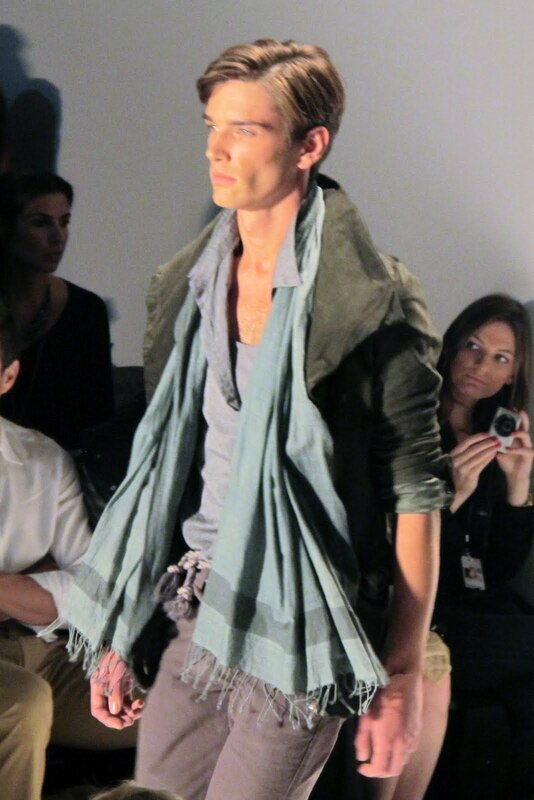 This was my first time attending a Nicholas K show, and I looking forward to seeing more of their work.